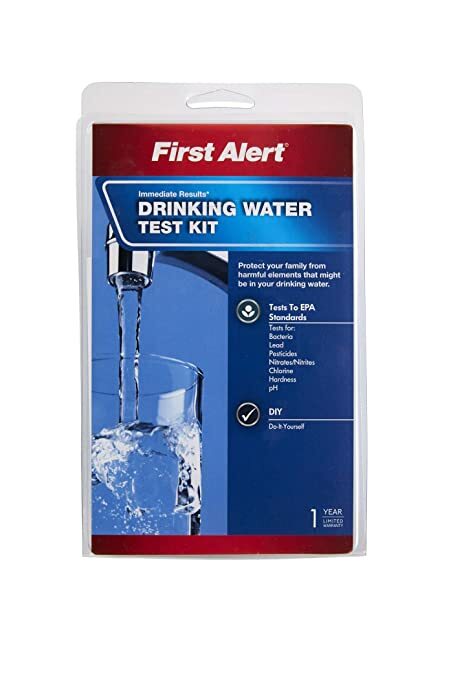 10 Tips To Pick The Best Water Test Kit - Drinking at Home in 2019! You want to make sure that the water your family uses is always safe, right? 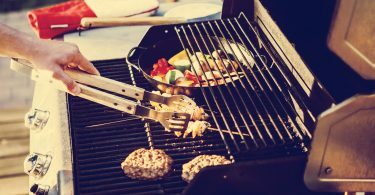 You want to make sure that you’re not getting chemicals in your water, whether it’s water you’re drinking or water that you’re using for your showers, baths and cooking. But even though your city may provide water reports, that only gives you a general idea of what the water is like in the entire city. It doesn’t tell you what’s going on with the water in your specific home. That’s where a water test kit can be a great thing. After all, you want to keep your family healthy. So, let’s see what it takes to make sure your water is safe. Time to Results 10 min. This test kit is designed for anyone who really wants to test their home water and doesn’t want to wait around to mail their test to the lab. It’s simple to use and makes sure that you can get the results from that test in a quick and comprehensive manner. The best feature that you’re going to have here is that you’re getting a range of different tests included. You can test for everything from lead, bacteria, iron and copper to alkalinity, pH, hardness, chlorine, nitrites and nitrates. That means it’s going to be quick and comprehensive to keep informed about the quality and safety of your water. This test is actually going to give you a positive or negative for things like pesticide, lead and bacteria and will give numbers for the rest of the tests. Are There Multiple Tests Included? You actually get one, single test that is able to detect all 10 of the different contaminants, so you can test one source for all of them. You’ll get all of the results back in as little as 30 minutes. That way you’ll be able to test your water and then get back to whatever you want. 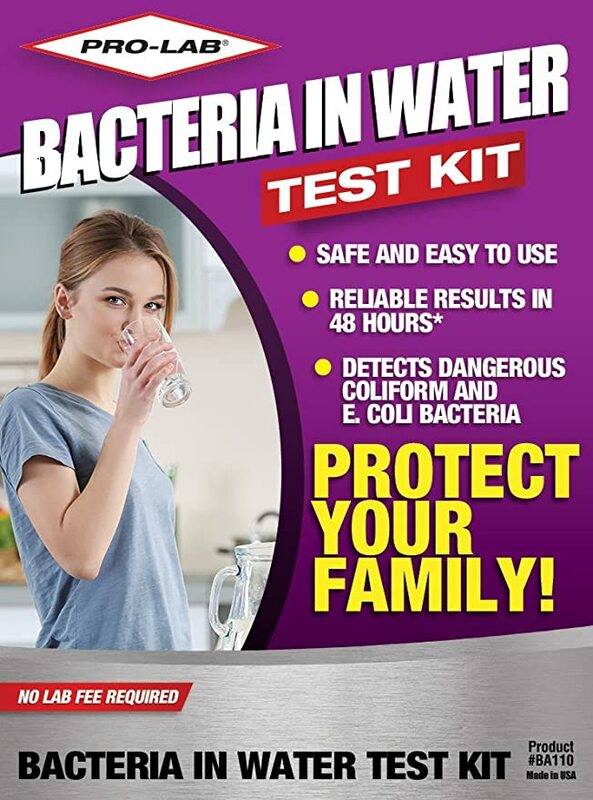 If you’re concerned about things like bacteria and lead and chlorine in your water and you want a super easy test that you can complete from beginning to end right in your own home then this test is definitely the one for you. It takes care of testing for a total of 8 different contaminants through this simple home test. The best feature you’re going to get with this water test kit is the fact that it actually tests 8 different things all at the same time. That means you don’t have to worry about the levels of any of these in your home. You just take a single sample (for most), which makes it quick and easy, and then it gives you the reading for everything you need. No trying to take multiple tests to get the readings you want. Can I Take the Tests More Than Once? You’re only going to get a single version of each test, which means you can only get one reading and you won’t be able to do it multiple times. What Kind of Readings Do You Get? The readings for things like bacteria, lead and pesticides are only going to give you a result of positive or negative. But the strips for the rest will give you levels. Time to Results 48 hrs. 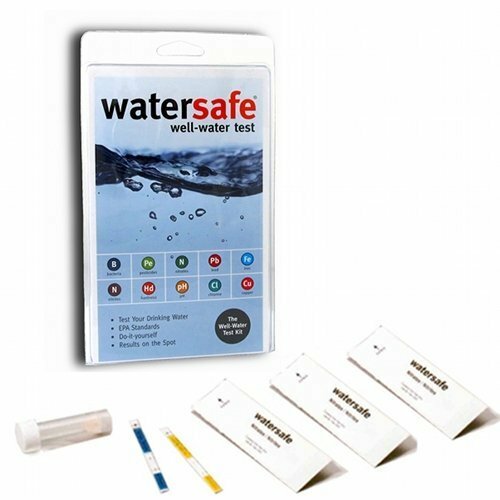 This test is great for those who want separate tests for several different chemicals and qualities of their water. You can even use this if you want to test different sources of water for different types of contaminants. You can choose how you want to break up the tests or how and when you want to use each of them. The best feature you get here is that the results are going to come back fast. It only takes about 10 minutes in order to get the results. That means you can make sure your water is safe and then you can get right back to doing whatever else you want to do. Can I Use This Test To Check the Water in My Well? You absolutely can, though it’s not actually designed specifically for well water. You would likely be better using a well water test instead. Does This Test Give You Amounts For Detected Chemicals? You’re going to get a positive or negative rating for the chemicals that you’re testing for the most part, with the exception of some like pH and hardness. If you have well water at your home you definitely want to test what you’re getting because it’s definitely possible something is leeching into your water. This test is definitely for you and will help you detect amounts above EPA standard. The best feature for this test is that it actually tests well water. It can be a little more difficult to find well water testing but this one not only does but it actually tests for a number of different contaminants that you may find in any form of groundwater. How Many Sources of Water Can You Test? This is actually designed to test only one source of water. You can separate out the tests if you want to test different sources but you only get a single test for each contaminant. Will This Test Measure Fluoride? This test is not designed to test for fluoride. It’s intended to test for bacteria, nitrates, nitrites, pH, hardness, pesticides, lead, chlorine, iron and copper. If you’re concerned about lead in your water this is going to be a great pick that will definitely help you better understand the safety of your water. It’s best for those who aren’t concerned about other contaminants or who have other tests to measure those other contaminants. The best feature here is that this test actually records levels of lead that are well below the EPA standard. That means you’re going to have a better test and a better understanding of the safety of your water. It doesn’t detect every bit of lead, but it will give you a report on levels that you can take action on quickly. Will This Show the Level of Lead in the Water? This test isn’t designed to show levels of lead. Instead, it’s going to give you a reading of whether there is lead or not. Can I Test Multiple Water Sources? This test is only for one water source. It only gives you a single test strip that you can use to test wherever you want. 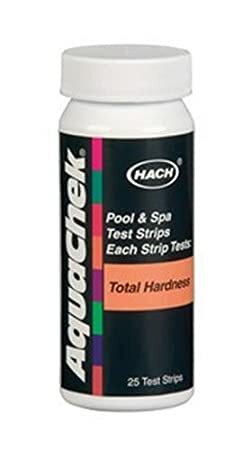 This test is best for anyone who has a swimming pool and wants to make sure that the water is the right balance of hardness. You want to keep your water at comfortable and safe levels and this test is going to help you to do that. 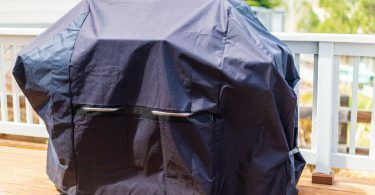 The best feature here is that you’re going to get 25 strips so you’ll have no problem checking your pool several times. That means you’re going to be able to keep it in just the right shape and you won’t have to worry about changes to your water hardness over time. Does This Work on Other Water Besides Pool Water? This can absolutely be used on any water you want to test hardness however it is not designed to test any other type of contaminants. Does This Give a Range Rating? You’ll be able to tell the difference between different measurements with several different colors to let you know where your water falls. This test is best for those who want the ability to frequently check their water hardness and want to make sure that they are fully aware of any changes that might happen with their water over time. It’s also super easy to do. The best feature about this test is that it is repeatable. That means you can keep testing your water as much as you want and make sure that even over time it’s not going to change too much. Also, if there is any kind of change you’re going to know about it right away. Does This Test Mg Hardness? It does not test Mg hardness and only focuses on Ca hardness to make sure you can take action on water that is too hard or register when your softener is working right. Is This an Easy Test to Use? You will have no problem using this product because it’s designed to work with just a little water and you add a bit of the chemical and then drop into your water. 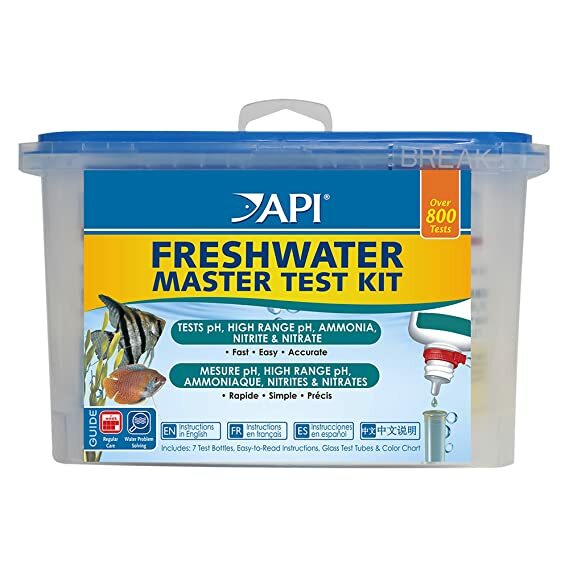 This is best for those who have a freshwater fish tank because it gives you a whole bunch of tests to let you know if you’re keeping the water in the right condition. You’ll also know what you need to do to make any changes along the way. The best feature here is that you’re going to have so many of the testers. That means you’ll be able to make sure your water is right even every single day for 2 years … and are you going to be checking your water every single day? The general norm is each week. Is This Good Even For Aquariums With Plants? This test can definitely be used in any kind of freshwater aquarium so you can make sure that the water is safe for all of your fish. What Kind of Water Can Be Tested With This? 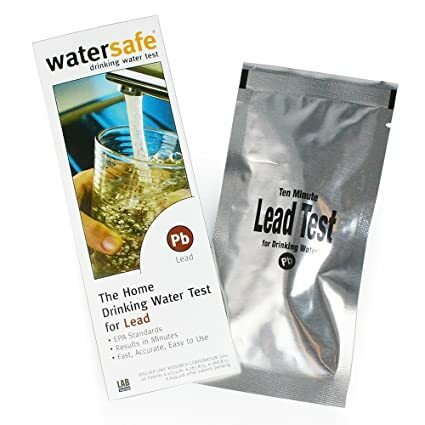 This test is designed to work for freshwater and is not intended to be used for saltwater. There is a separate test for saltwater. This test is great for those who want to test their own body for amounts of alkaline or acidic pH. This is a really use to use test and it provides you with accurate results. All you have to do is test your own saliva to get those results as well. Your other option is to test your water source if you prefer. The best feature for this test is that it checks your saliva to get the balance of pH that you currently have. This is important when you’re looking for whether your body is healthy or needs to be adjusted in some way. This test makes it super easy to get the reading that you need and to make sure it’s accurate. How Many Tests Can You Complete With This? You will probably be able to get at least 20 tests from each of the bottles and you’ll have a total of 3 bottles in the set you get. How Does it Indicate the Level of pH? You’ll be able to see the level of pH based on the color that the solution turns when you add it to the water or saliva. This test is for someone who’s looking for a backup system to their own testing. It’s designed for those who want to be able to get results themselves but also double check that by sending it into a lab and getting a professional to take a closer look at the results. This can make you feel a little better about it. The top feature you’re going to get here is that you will be able to detect E. coli and coliform. These are extremely dangerous bacteria that you don’t want to have in your water, so being able to detect them is going to be great for protecting yourself and your family. And you can have some fun with the science aspect of it too. How Many Times Can You Test With This? You’ll only get a single test out of this because of the way that the system works. You won’t be able to test more than a single source of water for both of these. If you’re looking for results from a home test you’ll be able to get accurate results in 48 hours. With the lab test you’re going to have to wait a few weeks to get results. You’re going to get testing for 10 different contaminants here. That’s definitely going to give you better results and make sure that you know what’s going on with your water and what you need to do in order to remove the contaminants and any other problems in your water. You’re going to have absolutely no problem running these tests because they have vials and test strips to give you the information you want. The test strips give you just a basic positive or negative and the others relay a specific number or number range. This test is going to give you testing for 10 different contaminants, which is going to be very comprehensive and make sure that you can keep your water clean and clear of bacteria. You’ll see whether your water is positive or negative for some and what the levels are for others. With this test you actually get the ability to test well water. While other systems let you test well water, this one is actually designed specifically for the well water going through your home, which means that it’s going to test for some of the more common contaminants if you’re using well water. 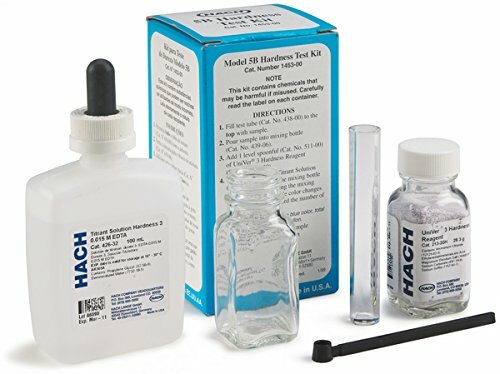 If you’re looking for testing for your water you can use this kit to test the pH of your water. 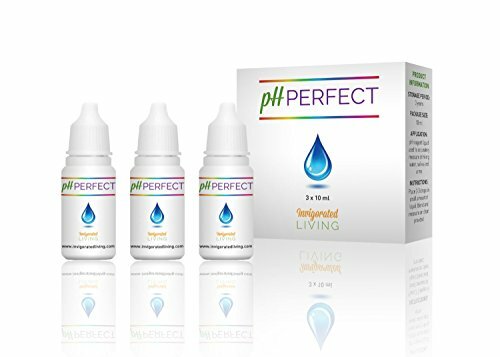 You can also use it directly on your own saliva, which will give you more information about the actual pH of your body rather than just testing the way that the water you drink or use affects your family. You’re going to have a lot of different pieces to the test to use with this kit. You’ll be able to test your own saliva or your water at least 60 times between the 3 different bottles that are included with the kit. This gives you plenty of time to take care of a problem and to recognize the changes over time. If you currently have well water you want to make sure that the test kit that you get actually works for well water. 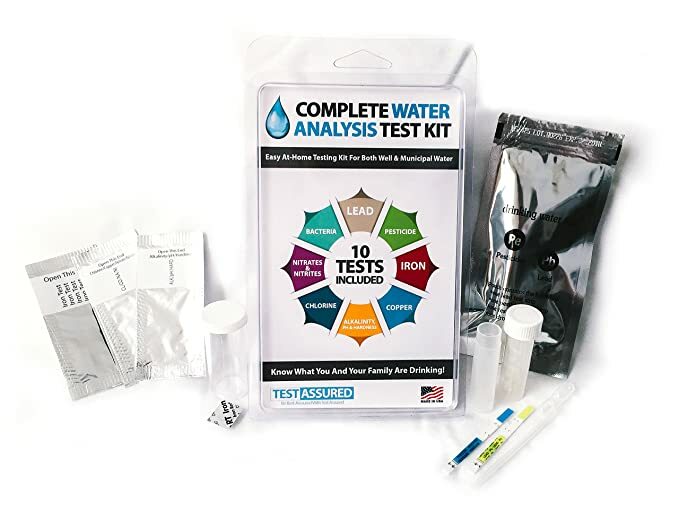 Not all water test kits are designed for the water that comes out of a well and if you use a standard test for the well water in your home you could actually get false readings about some of the different chemicals and more that are being tested. That’s because of the type of things that are actually in the water just by nature (and safe). Make sure you pick out the right test that says if it tests for well water. Keep in mind that well water has a number of different bacteria that could be in It and they are not all bad for you or dangerous. The right test is going to help you figure out what is important and even What concentrations you need to worry about. You can actually purchase self-tests that will let you not only take the samples of water but actual make a reading of what is in the water. These tests can be great for many people. On the other hand, you can also pick up self-tests that let you take the sample but then you send it in to a lab to make sure you get a professional reading. That’s going to help you understand exactly what is in your water and makes sure that you don’t make a mistake in your reading or even in understanding the specific amount of something in your water. Some tests will actually give you multiple options, letting you know immediate results of your test but also get more comprehensive results. It’s going to be up to you to choose what type of test you like best or what type of reading you prefer. Some tests will be easier for certain people. Make sure you’re using a test that you can fully understand and that you feel comfortable following the instructions on. If you don’t feel comfortable following the instructions our making the reading yourself opt for a test that includes professional readings and lab testing. If you live in an area where a specific chemical is more likely you may want to find a test that checks for that specific chemical. You may want to look for the most comprehensive test you can find, that looks for a little of everything. On the other hand, you may have fewer concerns. But look for a test that covers everything that’s most important to you. Take a look at mineral tests, bacterial, metal and alkaline tests as a starting point for the test you want. You are generally going to pay more for tests that measure more types of contaminants. If you’re concerned about a lot of things then it’s definitely important to spend the extra money for a comprehensive test. If you only have a few minor concerns then you can save a bit by just getting tests that measure individual containments or just a few simple contaminants. Take a closer look at what’s being tested for each specific test you look at. You want to know what type of levels your water test kit is actually going to detect. If it can detect levels at or even below EPA standards then you’re going to be doing pretty good. This means that you won’t be getting large amounts of harmful chemicals. You’ll want to look at the tests to make sure they say they test to EPA standards. Keep in mind, however, that the EPA only has regulations for certain chemicals and bacteria. That means, the test may say it tests to EPA standards but that means only for the things the EPA has regulations for. Anything else it’s testing to a different standard. If your test can measure to amounts below the EPA standard that’s going to be even better for you. You don’t really want your family ingesting any of these bacteria or chemicals, right? So, why would you want to test only to a standard that says you can have some but not too much? It’s going to be better the lower the quantity you need. Look for a test that will detect the smallest amount possible, but don’t get too frantic about it. Keep in mind that some bacteria and even some forms of chemicals are natural in the world and this means they aren’t going to harm you in small quantities. If you get too cautious about even a tiny amount of anything in your water you could end up with more harm than good. Next, how is the test going to tell you what you’re getting? Are you getting a test that’s giving you a positive/negative option? These tests are generally for things that you don’t want to have any of in your water. With these you’ll usually use a test strip or a vial that turns a specific color and says either ‘yes, it’s present’ or ‘no, it’s not present.’ If it’s a contaminant that you really don’t want to have any of in your food then this type of test is just fine. On the other hand, if it’s something that is acceptable in small quantities or that you can do different levels of purification for, you’re generally going to want a more accurate test. There are all kinds of water filters out there, for example. So, if you know that you have a little bit of lead in your water you will likely need a different kind of filter than if you find out there is a lot of lead in your water. With the other type of tests that you’ll find, you actually get a reading of different levels of the contaminant. This helps you make a plan for what you’re going to do next and how you’re going to go about getting rid of it or mitigating it to a safe level for your family. Finally, take a look at what type of water it’s meant to test. We’ve already mentioned well water versus city water, but there are other types of water that you could be testing as well. For example, if you want to test the composition of different chemicals in your body you’d likely want a saliva test. If you want to test pond water that’s going to need a different type of test. Testing your pool, your hot tub or your fish tank are each going to require different types of tests as well. Make sure you know the type of water that you want to work with and you’ll be able to get a better idea of what your water has and what is not acceptable. A saltwater or freshwater tank will have a different chemical composition than water that you’re expecting to drink, for example. Using a drinking water test on a freshwater fish tank is definitely not going to give you the type of information that you actually need. Using the aquarium tests on your swimming pool is also not going to give you the right type of information. 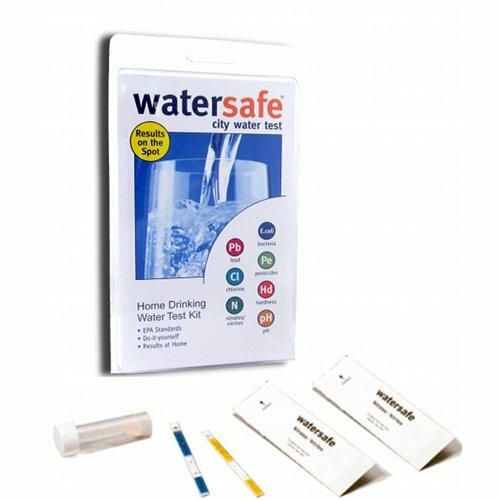 When it comes down to it there are a number of different types of water test kits. You’ll want to take a look at each of these that I’ve found and see how they may work for you. Each one tests just a little bit differently and provides you with different kinds of results. You’ll also have different types of contaminants tested so it’s going to be important to look at the specific bacteria that you want to test or the specific contaminants that are most common in your area. From there, you’ll be able to narrow it down even further than I have and make sure you have the right test.